With the benefit of hindsight, it’s often easy to second-guess historically important decisions. World War II is filled with many momentous decisions taken by the Allied Powers that might seem unnecessary over 70 years later, but sometimes it’s useful to think about decisions within their historical context to truly understand the constraints that often limit the decisions that are actually available during historically significant times. Three days in August 1945 come to mind: The nuclear bombings of Hiroshima and Nagasaki. Was Dropping Nuclear Bombs Morally Justified? With nearly 1 million Japanese casualties and deaths between 1944 to 1945 alone, there was no rational reason to believe that the Japanese militarists would have surrendered without escalating the conflict to a new level of destruction. That would have certainly resulted in millions more deaths from more vicious conventional warfare on the Japanese home islands, in addition to the millions of Chinese, Koreans, and other Asians that were being massacred by Imperial Japanese forces and dying of starvation during the Asian Holocaust.1 Thus, the moral justification to drop the nuclear bombs to avoid far more human carnage is relatively defensible and compelling, but dropping the bombs on dense population centers is not as defensible. The Nazis and Japanese Were Developing Their Own Nuclear Bombs. The prospect of Hitler or the Japanese militarists using nuclear weapons to execute their ethnic cleansing campaigns across the planet is sufficient reason to understand the necessity of the U.S. Government’s Manhattan Project. Albert Einstein himself adamantly warned FDR in 1939 that the U.S. must develop nuclear weaponry before the Nazis, who at that time, had a deeper understanding of nuclear technologies than the Americans.2 Thus, creating the Manhattan Project to defend the world against Nazi and Imperial Japanese nuclear threats is morally defensible. Was It Technically Necessary to Drop Nuclear Bombs? Several prominent U.S. officials during the 1940s and 1950s—including General Eisenhower, General Curtis LeMay, Assistant Secretary of the Navy Bard, members of the Strategic Bombing Survey Committee, among others—concluded that the nuclear bombs were not necessary for various reasons. These reasons primarily revolved around the premise that the Japanese leadership was already contemplating surrender and their war-making resources were running out. However, in light of over 70 years of WWII scholarship and hindsight, and considering that those particular officials were certainly guilty of atrocious war crimes that would have resulted in their imprisonment and/or execution had the U.S. lost the war, their relatively dovish comments after the war seem like wishful, speculative, and exculpatory sentimentality, not an accurate reflection of reality. Sometimes Shock & Awe Is Necessary. The verifiable fact that the Japanese militarists were still divided about the terms of surrender, even after the Hiroshima blast, confirms that the end of the war was not a simple matter of executing a few more bombing raids. 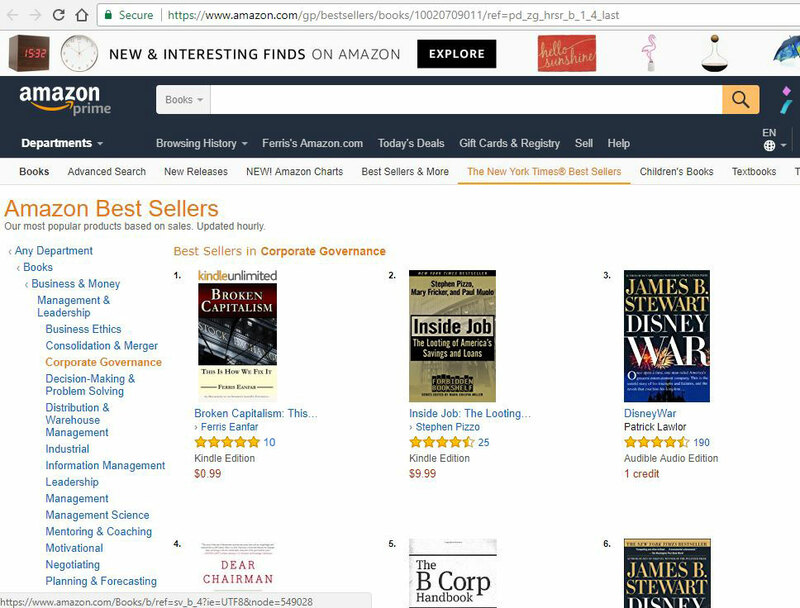 Sometimes there is a legitimate place for shock and awe to break the spirit of (or give a reality-check to) a delusional enemy. If the indiscriminate massacre of the Japanese population during the Tokyo firebombing, other similar massacres, and the Hiroshima blast were not enough to compel the Japanese militarists to capitulate, then there is no rational reason to believe that anything short of a demonstration of overwhelming nuclear power would compel the militarists to surrender. But, “demonstration” is not the same as mass human incineration. The Japanese Emperor Admitted that the Hiroshima Blast Was Necessary. Before he died, even Japanese Emperor Hirohito agreed that the Japanese militarists were out of control and an atomic bomb was the only thing that could stop them. In a 1975 interview, the emperor said, “I feel sorry for Hiroshima citizens, but it couldn’t be averted. . . .”3 If Japan’s own emperor admitted that it was necessary, and his words recorded during the war are consistent with his words in 1975, then dropping the first bomb is morally defensible, but was it truly necessary to drop the bomb on a dense population center? Let’s cover a few more contextual events before addressing this question directly. The Potsdam Declaration. Although Japanese Emperor Hirohito wanted to surrender much sooner in accordance with the Allies’ July 26th, 1945 Potsdam Declaration, he did not have control over his military generals. In fact, all the way up to the day of the second nuclear attack at Nagasaki on August 9th, 1945, there was still significant infighting within Japan’s Supreme Council (the “Big Six” political and military leaders who ruled Japan’s foreign policy), which was divided on the issue of surrender.4 Their inability to come to a consensus on the terms of surrender made it impossible for them to respond to the Hiroshima blast with a unified voice. This made it impossible for the Truman Administration to determine if the Japanese militarists would accept the terms of surrender in the Potsdam Declaration. That response was consistent with all the defiant prior public announcements from the Japanese Government. Thus, there was no doubt about the Japanese militarists’ intention to fight “to the bitter end.” From the perspective of the Allied Forces, “to the bitter end” meant the death of hundreds of thousands of Americans and other Allied soldiers and millions of Japanese and other Asians in a protracted invasion of the Japanese home islands. In this context, using nuclear weapons to save millions of lives seems morally justifiable, but did the bombs need to fall on dense population centers? We’ll get to that. . . .
Devastation as far as the eye could see from ground-zero at Hiroshima. If the Japanese militarists would not surrender after this, what exactly would compel them to surrender? Confusion, Chaos, and Ignorance Slowed the Japanese Response. Given the confusion and broken communications infrastructure in the war-ravaged areas, it took about 12 hours just for the Japanese Government to receive the first unconfirmed reports of the Hiroshima blast. Additionally, many Japanese did not understand or believe a single bomb was capable of destroying an entire city; thus, they assumed the destruction was from large numbers of aerial bombers. 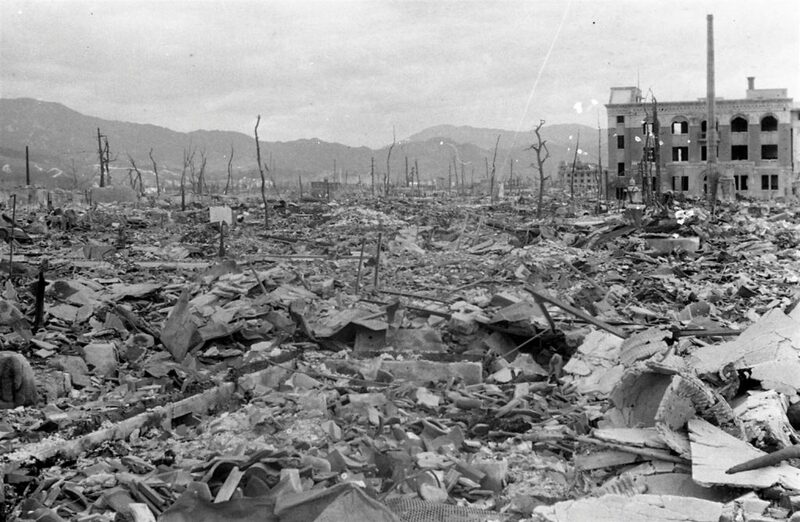 And many Japanese military officials who understood that an atomic bomb was used also understood how difficult it was to produce; so, they assumed the U.S. probably only had one bomb and could not produce any more very easily.7 This ignorance and confusion were significant contributing factors to the Japanese Government’s unresponsiveness in the immediate hours and days after the Hiroshima blast. Should Truman Have Waited for a Formal Japanese Response? Historical records show that the Japanese Supreme Council was still divided on the issue of surrender even after the Hiroshima blast and they were still debating how they should respond. However, the Truman Administration was impatient and did not want to wait for a formal response, preferring to interpret the silence as defiance. As a result, the plan to drop another nuclear bomb on August 9th, 1945 was approved less than 48 hours after the Hiroshima blast. 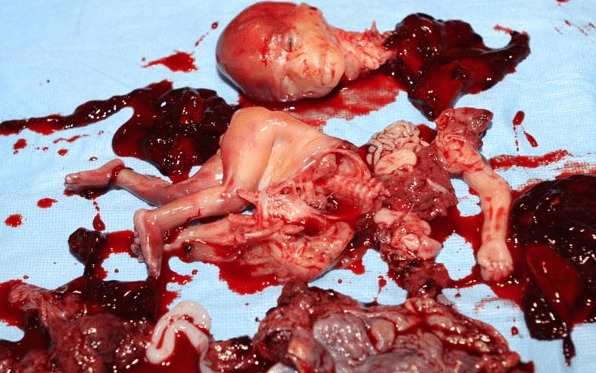 In context, this was not a morally defensible decision. Strategic Concerns About Soviet Involvement. This is a rather utilitarian reason that politicians have sometimes given over the years to justify dropping the second bomb on Nagasaki. At the Yalta Conference in February 1945, FDR, Churchill, and Stalin all agreed that Stalin would join the Allies against Japan in Asia after Hitler was defeated in Europe. This was before the successful Trinity Nuclear Bomb Test in July 1945; thus, the FDR Administration believed Stalin’s military support would be crucial to ending the war in Asia as quickly as possible. However, after the Trinity Test and FDR’s death, the new Truman Administration no longer believed the Soviets were necessary. At that point, Truman believed the U.S. could use nuclear bombs to end the war without any assistance from Stalin, which the Truman Administration believed would reduce Stalin’s ability to occupy more Asian territory. Stalin Declares War on Japan. Stalin fulfilled his promise by officially declaring war on Japan just hours before the second nuclear bomb was dropped on Nagasaki. Stalin’s declaration of war reduced Japan’s diplomatic options, but it did not change the fundamental reality: Imperial Japan was doomed whether the Soviets intervened or not. The Japanese Emperor explicitly admitted this on August 8th, 1945 (the day before Stalin declared war), when he said it had “become impossible to continue the war” and he wanted to “conclude the war as swiftly as possible.”8 But again, he did not have control over his military generals; thus, there was no hope for Japan to surrender without a very costly invasion of Japan’s home islands or dropping another nuclear bomb. Nevertheless, Stalin’s involvement alone was not a sufficient excuse to drop a second nuclear bomb on a dense population center. Debunking the “We Had to Avoid the Embarrassment of a Dud” Excuse. A common excuse that U.S. politicians have given over the years for dropping both nuclear bombs on populated cities instead of giving less deadly demonstrations is that the fissile bomb-making materials (Uranium 235 and Plutonium) were so rare that the U.S. Government had no choice but to drop the bombs on two major cities to avoid the waste and corresponding embarrassment of a potential dud bomb(s). Those people claim that wasting any of the precious fissile material on a dud demonstration was an unacceptable risk because it would have taken a long time to produce more fissile material if more nuclear bombs needed to be produced. However, this excuse does not conform to the reality of how much fissile material was actually being produced throughout the sprawling Manhattan Project’s international industrial complex in the Fall of 1945 and how rapidly the American production of fissile material was increasing. Proof of Sufficient & Rapidly Increasing Fissile Material. The Commanding General of the Manhattan Project, General Leslie Groves, explicitly expected to have enough fissile material available to drop a third nuclear bomb on Japan by August 19, 1945—just ten days after the Nagasaki blast.9 Groves also expected to have three more bombs ready by September (just a few weeks after the Nagasaki blast) and another three bombs ready by October (another few weeks). Thus, within a span of about 45 days, General Groves expected to have at least seven more nuclear bombs ready to drop on Japan, with likely close to two dozen total before the end of 1945. In this context, dropping nuclear bombs on dense population centers was certainly not morally defensible. The Bombs Were Dropped on Japan but Were Aimed at Stalin. Based on everything we have covered up to this point, creating the bombs and dropping them somewhere were morally defensible decisions, but there is no morally defensible rationale for dropping two nuclear bombs on dense population centers within three days. It requires a supreme lack of imagination to believe that no other demonstration of the destructive power of the bombs was possible short of annihilating nearly 200,000 humans at Hiroshima and Nagasaki. The bombs could have been demonstrated in more remote regions and/or less populated cities as part of a methodical escalation of destruction without any significant strategic risks. Truman Administration officials were certainly aware of other possibilities, but their eagerness to show Stalin that Truman was a ruthless tough guy was almost certainly the driving force behind the decision to drop the bombs on dense population centers. The Global Turning Point of U.S. Moral Authority. From a moral legitimacy perspective, global public opinion of the U.S. Government’s use of nuclear weapons in WWII would be very different today if (1) President Truman had stopped and waited for the formal Japanese response after the Hiroshima blast and (2) Truman had demonstrated the destructive capacity of the bombs with a more gradual escalation, i.e., over the course of several weeks rather than three days of instant mass human annihilation. Up until that point, the U.S. Government was perceived by most humans worldwide as being morally justified in using any means necessary to destroy the Axis Power governments. Indeed, virtually every human on Earth knew that the Nazis were evil and the Japanese militarists had become bloodthirsty dictators who were unlikely to surrender quickly to conventional military attacks. The Obliteration of U.S. Moral Authority. 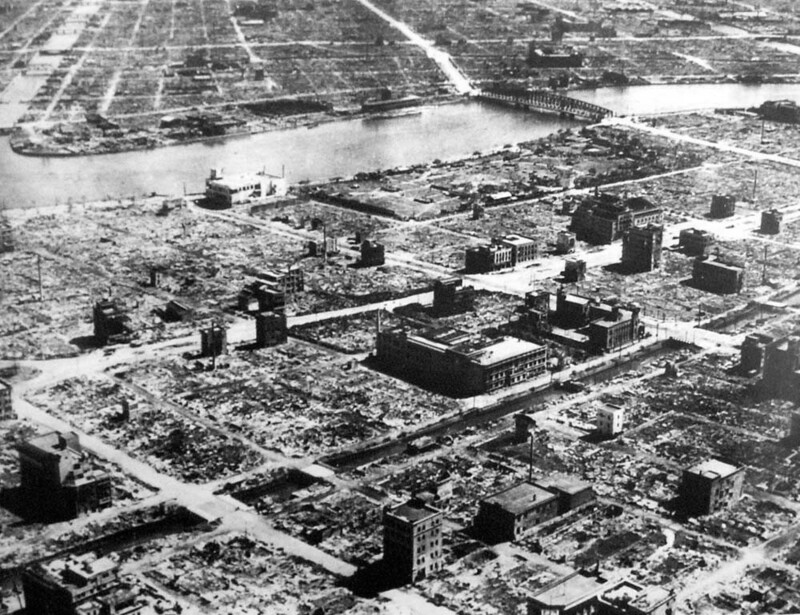 The Tokyo firebombing and other atrocities between 1944-1945 was the beginning of the U.S. Government’s decent into indiscriminate mass homicide in the modern era.10 But it was the unnecessary mass human extermination at Hiroshima and Nagasaki that transformed the U.S. Government from a defender of human life and freedom into a perpetrator of human death and oppression. The U.S. Government’s subsequent deadly adventures in the Korean War, Vietnam War, Iraq Wars; installing anti-democratic puppet dictators in Central and Latin America, the Middle East, Africa, Indonesia; the insane and economically wasteful buildup of tens of thousands of nuclear warheads; and dozens of other overt and clandestine military operations around the world after 1945 . . . all these events have their roots in the period between 1944-1945 when the decision-making processes within the senior ranks of the U.S. Government became unhinged from any moral compass. Without a moral compass, the ship of state is lost and democracy sinks into an abyss of relativistic realpolitik. The Asian Holocaust claimed at least twice as many lives as the Nazi Holocaust. Japanese Times. 2014. “Emperor Hirohito notified about Hiroshima A-bomb half day after”. For a detailed analysis of the political infighting among Japan’s leadership during the war, read Downfall: The End of the Imperial Japanese Empire by Richard B. Frank. White House Press Release Announcing the Bombing of Hiroshima, August 6, 1945. Original source: The Harry S. Truman Library, “Army press notes,” box 4, Papers of Eben A. Ayers. 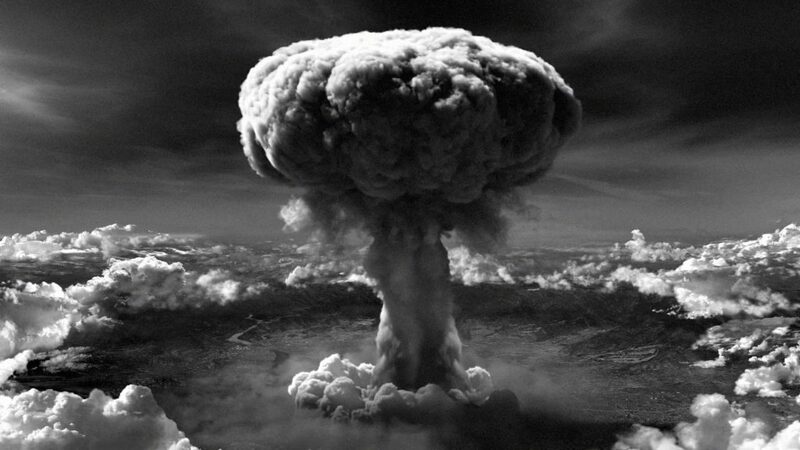 After the Nagasaki blast, Japanese War Minister Korechika Anami said, “[O]ne atomic bomb could destroy six square miles, which was equivalent to 2,000 B-29s each armed with 300 conventional bombs of 500 pounds each. . . . The Americans appeared to have one hundred atomic bombs . . . they could drop three per day. The next target might well be Tokyo.” Indeed, the next target was Tokyo, according to NSA archives. And Anami’s statement confirms how influential the atomic bombings were as an inducement to surrender, relative to the Soviet invasion of Manchuria, which is another long-standing debate among historians. See NSA Archives 1945 for a detailed account of the Manhattan Project’s fissile material production timelines. The mass murder of the American Indians was the first mass homicide perpetrated by the U.S. Government.